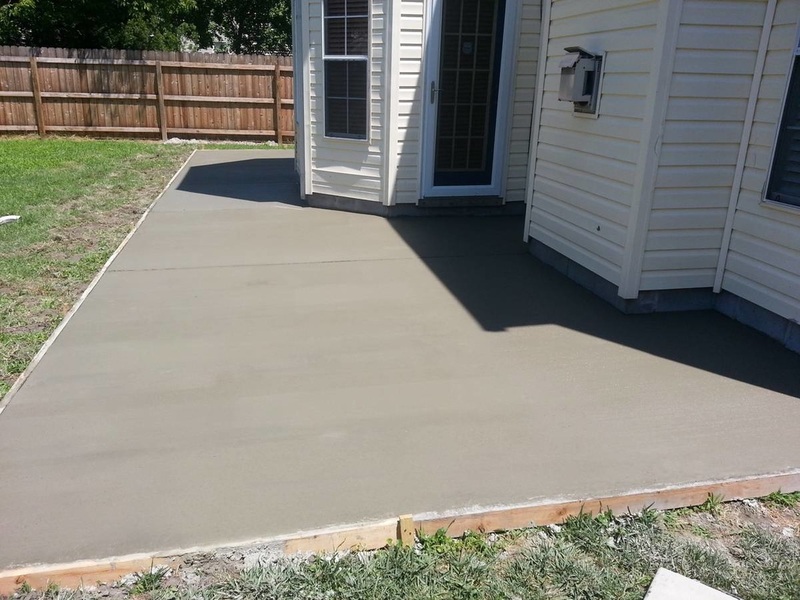 Having your concrete slab repaired or need a new one installed? ​Our team loves doing slab work, just like driveways and patios. We find it extremely fun, generally when the weather is good though, so we've got your back. ​Over the years, we have found that having a fun and skilled team of people combined with enjoying the work you do, are key elements to success as ﻿concrete contractors﻿ and any other company. ​We are proud to be the best provider of concrete repair & replacement services in all of Hampton Roads, but mostly Virginia Beach. It's no secret that we do concrete slab work, which is generally residential type of projects, so, we were thinking about other things that you, as a potential customer, might benefit from on this page. If you have ever built a home or business, or know someone who has, the chances are very likely that you have seen a concrete slab in its crudest form. Concrete slabs are the foundation for most homes and buildings, the footprint of the property and if not done properly, can be the thorn in a property owner’s side. When a slab is laid, unless the home or building has been planned to have a basement, it becomes the base of the that building in which all the weight of that structure will sit atop of. Most Architects spend countless hours and do extensive calculations on loads and material strengths and have figured out how thick a slab must be to be able to sustain the weight of the building, therefore preventing the slab from sinking into the ground or a myriad of other issues. Slabs can be as thin as a few inches thick to upwards of 1-2’ thick. Depending on the type of building that will be built on top of the foundation, or concrete slab, the thickness is determined long before the first construction worker ever sets foot on the property. Although it is common for businesses, but also sometimes in more modern homes, a concrete slab will serve as the finished flooring of the property. When this is the preferred flooring of choice, once the slab is poured, the construction team will often go back and try to make the flooring as smooth as possible, not just for aesthetics, but also for safety. Concrete slabs are often poured with piping and heating elements built into the slab. This is one of the downsides to homes that are built on slabs. If something goes wrong with your piping, for example, quite often a plumber will need to completely run a new line as the property’s water source and abandon the originally built pipes, because access is too difficult. It is strongly cautioned that homeowners who choose to do a DIY project where a concrete slab must be laid, that they do some reading up and look at tutorials online on the best ways to ensure that the property is level and clear of any obstruction – current or future – that could upset the foundation of their project. Nothing would be worse than spending time and hard earned money on a project, only to have to redo it later because not all considerations and proper precautions were met. First off, let us explain why you want to perform maintenance and upkeep on your existing concrete, even though it's well known by home owners to be a type of material that needs little to no maintenance, so why bother talking about it? Biggest reason is that proper concrete maintenance is crucial to extending the life of your brand new pavement. Don't you want it to last longer after you've paid a fortune to install it? We thought so! Another big reason is the look and feel, that proper maintenance techniques bring to your concrete slab, and by the way, same tips work for both driveways and patios too. ​1. The hardest, yet one of the most important things to do, is occasional preparatory cleaning followed up by application of sealant, which is often referred to as the concrete sealer. Not sure when to apply it? Think logically and pay attention to the wear of the old sealer, once it's starting to look uneven and patches are missing, it's your Q to start preparing for a new coat. Generally, an average driveway we see, needs it once over couple of years. When it comes to buying and using the sealant, we suggest checking out your local or favorite concrete supply stores. You can also find some to be readily available at your neighborhood hardware store. If don't feel comfortable, you can always ask us for a recommendation. Be sure to apply it according to the instructions on the can and don't skip any recommended steps. 2. This is more on the cleanliness side, yet it's very important for both the looks and aging of your concrete. Yes, we're talking about those nasty stains, whether they're a product of oil from your engine or grease from all that grilling you do on the patio. Be sure to cleaning it up, or cover if necessary. Especially if concrete is exposed, it's will stain it and won't come out easily. Cleaning it isn't that complex, simply soak it up and hose it off. If you've already let the stain soak it, a combination of high power washing and certain chemicals might be the cure. We recommend preventative ways, but in the end, it's your concrete. 3. Winters can get pretty cold here in Virginia Beach and it does get icy, so the use of salt is often a necessity. Well, we're here to tell you that it's actually very bad for your concrete driveway mainly for two reason. It makes ice melt, therefore increasing the temperature to liquefy the ice, which freezes up again in a couple of hours once the effects of salt wear off. And it also contains chemicals which dissolve your coating, which allows the moisture to penetrate the pavement. The first winter for your concrete is the most important, as it is still settling in and will be vulnerable to the effects of chemicals. A safe, but less effective alternative to using salt, is to use commercial sand. It's doesn't work as well, but sure is better than using chains to park your car. 4. Last but not least, simply take good care of your concrete, may it be a driveway, patio or just a slab… Don't beat it up and treat it like it's indestructible, because it just isn't the case. If you take these tips and use them for your concrete construction, you'll be rewarded with the amount of time it lasts you. Bottom line is, you're protecting your investment! We hope that this information comes in handy. Get in touch with us by calling (757) 347-8337 or fill out free estimate form at the top.